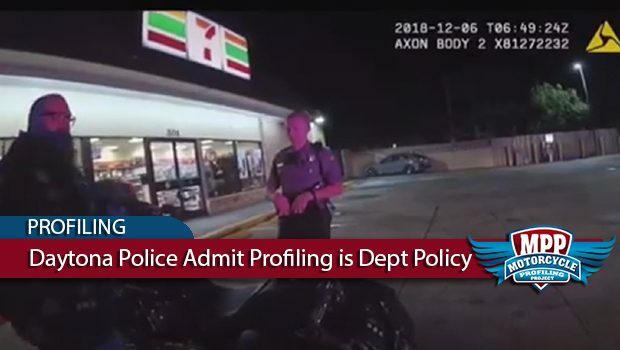 Video footage obtained by the MPP from the North Florida Council of Clubs confirms that motorcycle profiling is not only widespread in Daytona Beach, but it is also oﬃcial law enforcement policy. In the words of Daytona PD Chief Craig Capri, “If you wear your colors [in Daytona Beach], you’re going to get stopped.” This oﬃcial policy is unconstitutional and exposes the entire Daytona PD to civil liability. This video evidence also justifies a cost-free legislative solution in the form of a simple prohibition against motorcycle profiling combined with relief for victims. 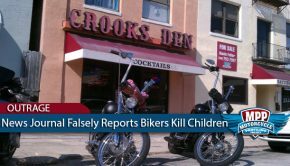 Without any other evidence, Chief Capri’s Statement alone proves that the Daytona PD profiles motorcycle club members as a matter of policy. This oﬃcial policy irrefutably violates the 1st, 4th, and 14th Amendments to the US Constitution. Chief Capri’s statement also violates the 14th Amendment because it represents Selective Enforcement of the law. Capri’s statement proves that the strategy to use traﬃc stops as a way to punish those exercising their rights of expression and association is premeditated and selective. In terms of the 4th Amendment, any minor traﬃc pretext used to stop a club member in Daytona Beach should be presumed invalid. 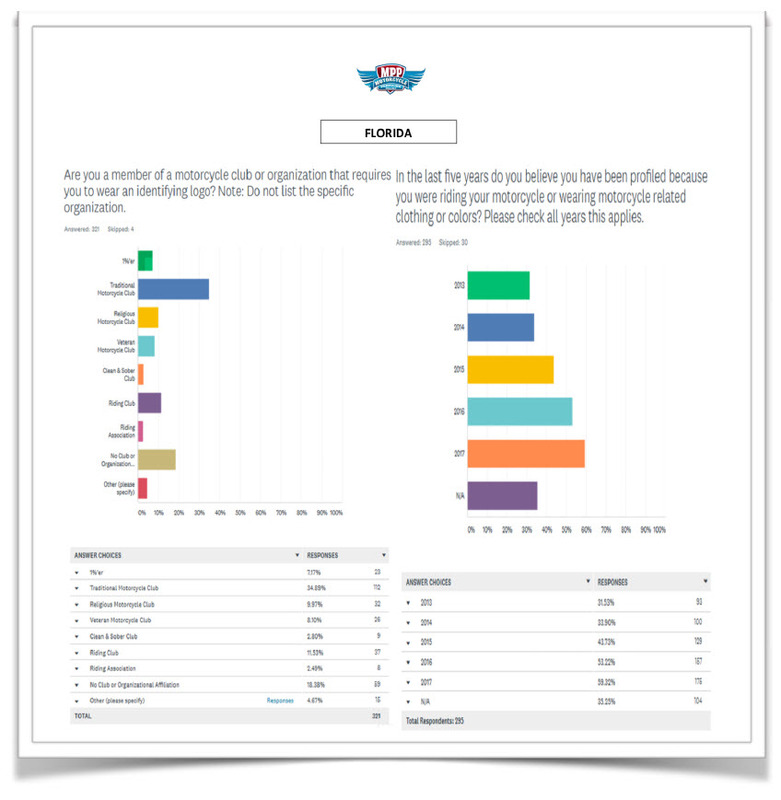 The National Motorcycle Profiling Survey validates Florida’s profiling epidemic. The 2018 NMPS lists Florida as one of the top motorcycle profiling concerns in America. According to the 2018 NMPS, 65% of Florida survey participants reported being the victims of motorcycle profiling at least once since 2012. These survey statistics are 99% reliable with less than a 2% margin of error. (See NMPS Executive Summary 2018). There is a long history and pattern of evidence establishing that motorcycle profiling is engrained in the Daytona Beach PD. And the Daytona PD has made empty promises when caught with their hands in the cookie jar. While attending the 2017 Biketoberfest rally in Daytona Beach, Florida, members of the Iron Horsemen Motorcycle Club (IHMC) were the target of blatant profiling and discrimination at the hands of the Daytona Beach PD. The incident, caught on videotape as a result of quick thinking, is irrefutable. The impact on civil liberties motivated the combined eﬀorts of the North Florida Council of Clubs, the National Council of Clubs, and the Motorcycle Profiling Project to immediately respond with a formal complaint and public record requests. 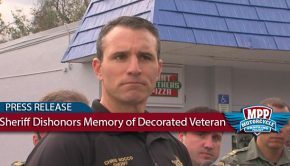 These inquiries, based on the video, sparked an investigation into the actions of the oﬃcers involved and a review of Daytona PD policies regarding motorcycle clubs, said a source inside of Chief Craig Capri’s oﬃce. 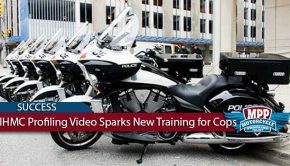 As a result of the State Attorney’s inquiry, a curriculum was supposed to be constructed and all Daytona PD oﬃcers were to be re- trained relating to motorcycle profiling. Unfortunately, almost 2 years later, motorcycle profiling is alive and well in Daytona Beach. As articulated, motorcycle profiling is still oﬃcial policy. 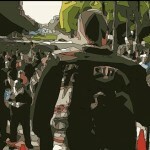 Motorcycle profiling is a legitimate national policy discussion. In December, the US Senate unanimously approved S.Res.154 which directs all states to follow the lead of Washington State and Maryland by legislatively addressing and condemning the practice of motorcycle profiling. 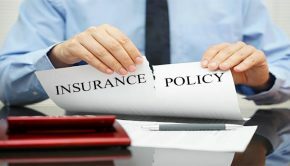 A prohibition combined with injunctive and actual relief for victims is a simple solution with no fiscal impact. A legislative prohibition would immediately increase exposure to the issue therefore reducing incidents of profiling.